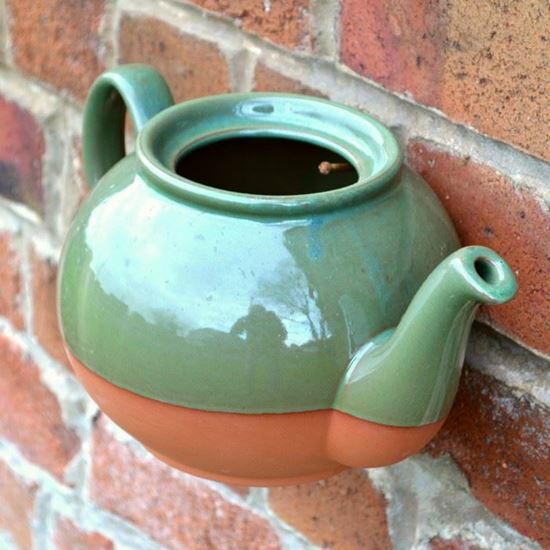 With a bit of a re-design we have adapted these traditional teapots for use as wall pots with real novelty appeal. 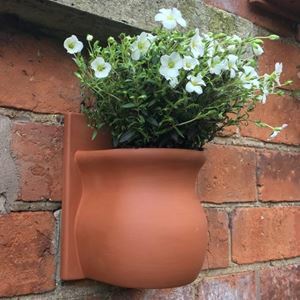 Part glazed in green to complement the terracotta each wall pot has a flattened back to sit against a wall or fence & a hole for simply hanging on a screw or nail. with a drainage hole in the base of each wall pot to help prevent water-logging. Made & finished by hand at our pottery studio in Newark from durable Staffordshire terracotta clay. With a slight redesign these traditional teapots have been transformed creating wall pots with real novelty appeal.